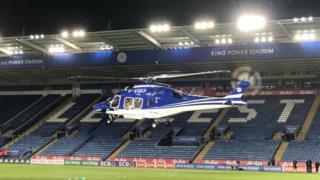 The helicopter carrying the Leicester City owner appeared to be operating normally moments before it crashed, an expert has said. 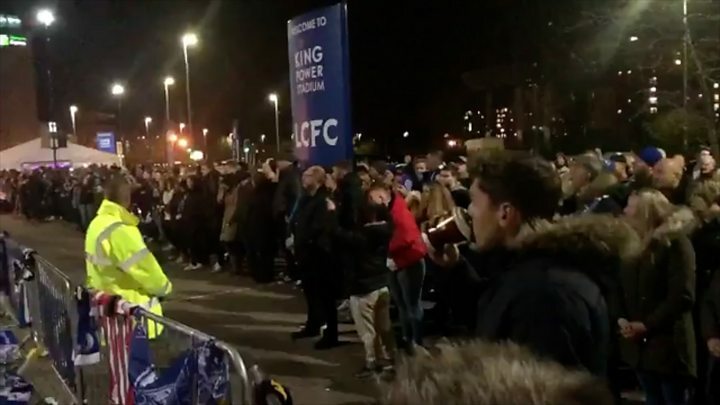 Vichai Srivaddhanaprabha and four others were killed in the crash outside the King Power Stadium on Saturday. Aviation expert David Learmount said a widely shared video showed the aircraft complete an “awkward” take-off without issue before getting into difficulty. Crash investigators are expected to move the wreckage in the next few days. As well as Mr Vichai, Nursara Suknamai, Kaveporn Punpare, pilot Eric Swaffer and his partner Izabela Roza Lechowicz also died in the crash. The footage, taken inside the stadium, shows the AgustaWestland AW169 climbing normally for about 40 seconds, before it pauses and goes into a downward spin. Mr Learmount said: “At lift-off you can’t see anything that’s abnormal, but it’s an awkward job climbing out of a stadium because ideally you want some forward speed as well as continuing to climb. “The pilot climbed very nearly vertically until he was above the height of the stadium and then started to turn to the right – it was very shortly after that control was lost. Attention is focusing on the tail rotor, which stops the fuselage being spun by the force of the main rotor. Mr Learmount said if the tail rotor was the problem, the pilot’s options were limited to simply shutting power off to the rotors. “That leaves you with no power – if you have no power you have to go down,” he said. “This action – bringing both rotors back to idle – has to be done incredibly quickly. “If you shut the power down rapidly enough, you can keep the rotor spinning and that effectively puts the helicopter into a glide. The Air Accidents Investigation Branch (AAIB) is already examining the flight recorders, which were retrieved the day after the crash. A huge display of floral and footballing tributes have gathered outside the stadium and a steady stream of people have signed a book of condolence. Family, players and members of the wider Leicester community have also visited the scene. A minute’s silence will be held and black armbands will be worn by players at all Premier League matches this weekend as a mark of respect, the Premier League has confirmed. Leicester players will travel by road to their game at Cardiff on Saturday rather than fly, as going by plane was felt to be insensitive given the circumstances of Mr Vichai’s death.